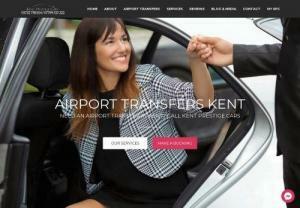 Here at Kent Prestige Cars, we offer airport transfers, funeral cars, executive travel, business travel, chauffeur services, sporting events travel, wedding car hire, private transfers and prom night travel to clients throughout Maidstone and the surrounding areas of Kent. If you would like to find more information on the chauffeur services that we offer, be sure to get in touch with our experienced team today. We'd love to hear from you and help you in any way we possibly can.